I"m taking a medical billing and coding classes on line. I have no idea what I'm doing. My instructor is really nice but, I'm the type I have to be shown HOW TO DO IT, and I can't get this across to her. I've gotten through with all the other classes they have thrown in with this course. Like how to trouble shoot your computer. Now, after a year, I've gotten to the classes I wanted and I have no idea where to start to even find the answer. My question is, Is there any simple instructions on how to do coding? I need Medical Coding for DUMMIES. Great question(s). I know coding can seem overwhelming as there are so many facets and specialties. One of the books that helped me - and I still refer to it a lot - is "Understanding Health Insurance" by Michelle Green. It's available on Amazon. You can usually get a used copy for reasonable. Just do a search on Amazon and you'll find it quickly. I think she does a good job of explaining coding without making it too overwhelming. Just My Passion. It's a site jam packed full of coding links and information. American Association of Professional Coders Resources page is also a good reference. Hope these help some and don't overwhelm you even more. Good Luck. Comments for Medical Coding for Dummies? 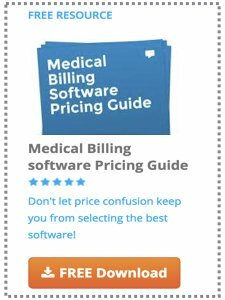 Medical Coding is not the same as Medical Billing. Why does everyone (and everywhere on the internet) interlock the two? They are not the same at all. I'm doing on-line course of Medical Coding. I have a certification in Medical Billing... again, NOT the same thing!! Medical Coding is much (much) harder.